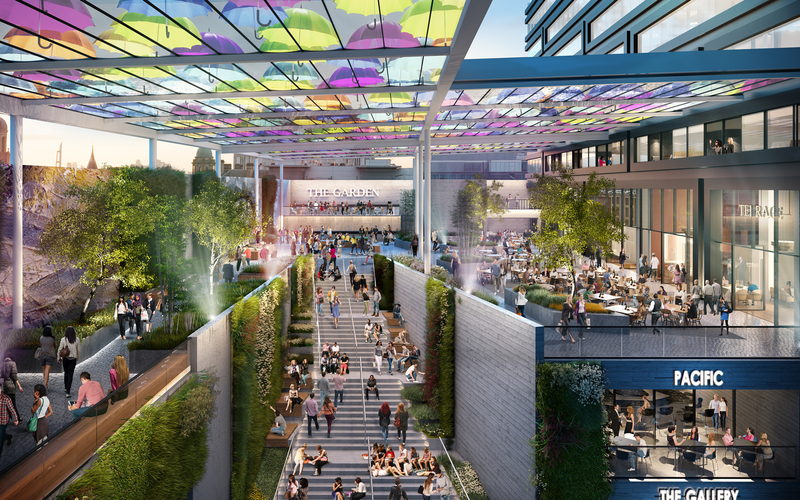 The St Michael’s Partnership, formed by Gary Neville, Ryan Giggs and Brendan Flood has joined with Rowsley, BCEGI and Manchester City Council, to reveal the first CGI’s of their new, 700,000 sq ft city centre development. The development, will inject a new lease of life into a currently largely disused area of Manchester. 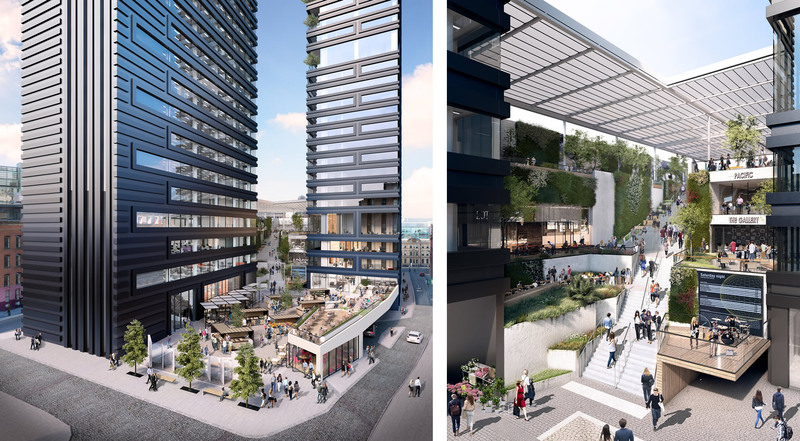 Compromising a five-star hotel, apartments, office space, three public spaces and a new synagogue ensures this space will bring over 1,300 jobs to the city centre in the coming years. The St Michael’s partnership appointed internationally renowned, Make Architects to design the scheme, which has responded to the SRF through the provision of a 200-bed, five-star hotel, 153 one, two and three-bed apartments, 135,000 sq ft of Grade A office space and 30,000 sq ft of retail and leisure space, including two new sky bars/restaurants. The development includes the 31-storey ‘Number One St. Michael’s’, home to the hotel and residences, and the 21-storey office tower, ‘Number Two St. Michael’s’. St. Michael’s will also feature three brand new public spaces, designed by Landscape Architects Planit-IE. Each space is characterised by its own unique identity and will feature a mix of high quality hard and soft landscaping. The Lower Square, which will be known as ‘St. Michael’s Square,’ will provide up to 14,000 sq ft of quality public realm, linking the development to Albert Square and the Town Hall. St. Michael’s Square will be populated with kiosks and alfresco eating and drinking space. The Upper Square, which will be known as ‘The Garden,’ will offer 11,000 sq ft of public space with room for alfresco restaurants. ‘The Garden’ will be the venue for all-year-round entertainment from live music to outdoor theatre. A retractable roof will allow visitors the opportunity to enjoy this space 365 days of the year. Linking St. Michael’s Square to ‘The Garden’ will be ‘The Steps,’ a 15 metre high architectural staircase. Situated around the steps will be vibrant eating and drinking establishments. The steps will also feature cascading outdoor seating areas. Our vision is to deliver the biggest statement in architecture and development that Manchester has seen in modern times. The site currently provides employment for approximately 10 people. It is estimated that during construction the development will create up to 300 jobs with a further 1,000 jobs once the development is complete. The development will also provide the Reform Synagogue with a brand new facility. The St. Michael’s Partnership is an international consortium comprising Singapore’s Rowsley Ltd, Beijing Construction and Engineering Group International (BCEGI) and Jackson’s Row Developments Limited, formed by Gary Neville, Ryan Giggs and Brendan Flood. Zerum Consult is Development Manager and Planning Consultant. 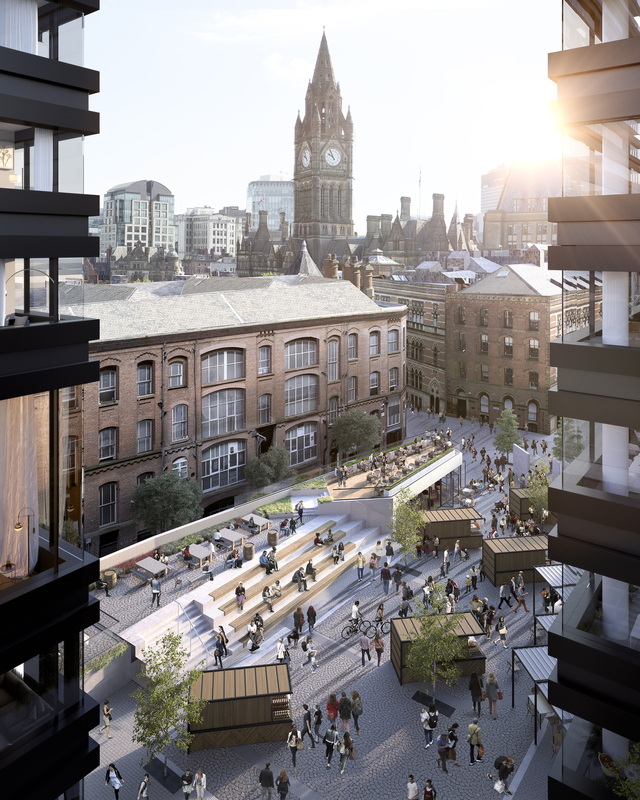 Gary Neville, Director of Jackson’s Row Developments Limited, said: “Our vision is to deliver the biggest statement in architecture and development that Manchester has seen in modern times. Rowsley’s Managing Director, Real Estate, Ho Kiam Kheong, said: “The focus for the St. Michael’s development is to provide world class accommodation and a high quality public realm for those working, living and visiting Manchester.